Up until a few years ago, I never thought much about health and fitness. As a kid, I ate whatever food was put in front of me and never excelled at any sports. So as time passed, I packed on the pounds and became very lethargic. Even though I was extremely frustrated with my weight and didn’t like what I saw in the mirror, I had no idea what to do about it and eventually lost hope that I’d ever see a real change in myself. But after losing both of my parents in two years due to health-related issues, I realized that if I didn’t change my ways, I’d be next. So I went on a diet, lost 45 lbs., then hit a plateau. It wasn’t until I started doing Hip Hop Abs®, drinking Shakeology® daily, and sticking to the nutrition plan that the weight started melting away. So far I’ve lost 68 pounds (from 267 down to 199 lbs.) and a MASSIVE AMOUNT of body fat (from 30% down to 12%). But beyond my impressive stats, when I looked in the mirror, I’m so proud of what I see. And it feels amazing to hear others tell me how great I look. This is the first time since high school that I weigh less than 200 lbs. and words can’t express how proud I am of myself for that accomplishment. My life has drastically changed since joining my Challenge Group and completing Hip Hop Abs. I feel as if I’m doing my parents proud and that they’re watching over me in my quest to be fit and help others do the same. My confidence has gone through the roof and I’m loving life! 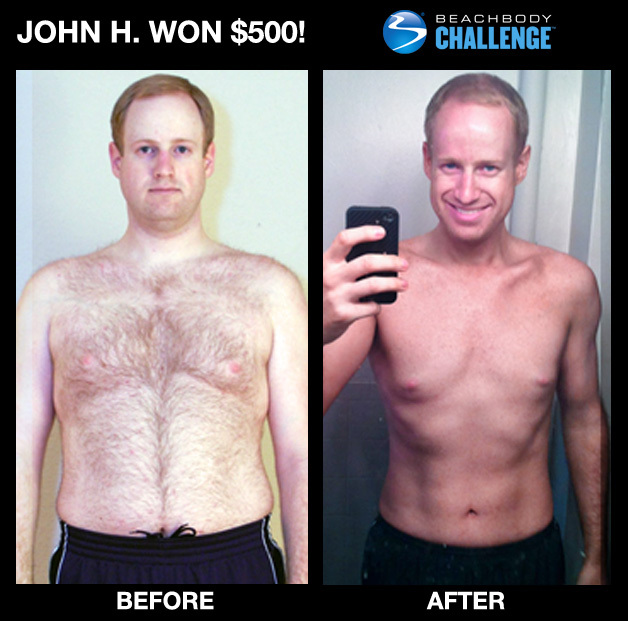 And none of this would be possible without Beachbody, MY coach, and everyone’s support. I owe you all my life. Really, I do. Thank you. Daily Success 3/7/2013 – At 76, my greatest challenge was admitting that I needed help.